My movement would be centered around supporting people to live their best lives, not only with quality, whole food nutrition, but also with other resources that empower them to feel their healthiest. With jam-packed days and busy routines, I hope that we provide a daily dose of information and tools to aid in a healthy, more vibrant lifestyle. It’s amazing the small tweaks we can make that will have a profound effect on our well-being. I had the pleasure to interview Leigh Keith, President and Co-Founder of Perfect Bar, LLC. After stints of selling the refrigerated protein bars to family and friends, like other kids sold lemonade, Leigh took on a business role at a young age, such as managing the accounting for her Dad’s supplement-line business, before she was a teenager. When their Dad grew ill and could no longer support the family, including nine siblings still under the age of 18, 19-year-old Leigh and her eldest siblings turned their Dad’s recipe into a business in 2005. 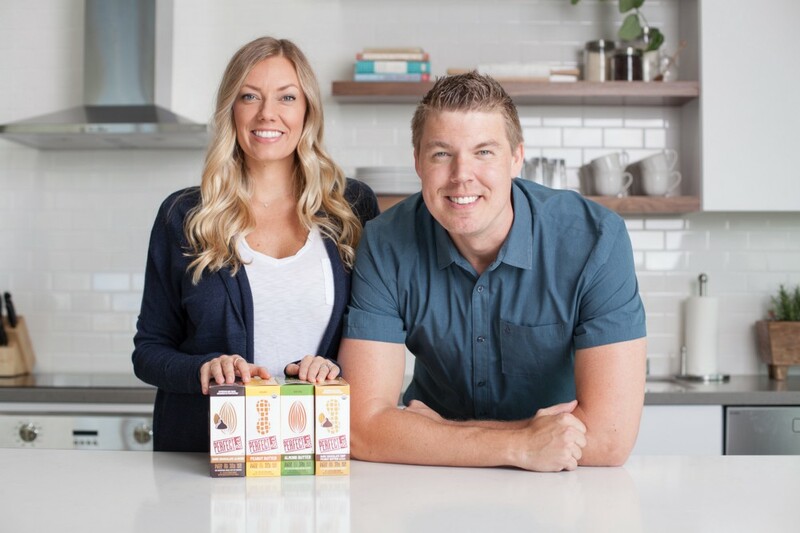 Spearheading an unpaved category, the Keith Family wrote the blueprint for Fresh Snacking, prior to the trend gaining traction amongst retailers and consumers alike. With determination, persistence and a great deal of passion, Leigh and her siblings transformed the crowded, $6-billion protein-bar industry, leading consumers away from highly-processed snacks and towards the fresh, functional coolers where Perfect Bar continues to carve out desirable real estate in more than 20,0000 fridges nationwide, including Whole Foods, Costco, Target, Trader Joe’s, Starbucks and more. Leigh and the Perfect Bar brand have been awarded recognitions, such as #1401 in the Inc. 5000, The NEXTY Award from New Hope Media, Manufacturer of the Year Award and Top Business Leaders Under 40 from SDBJ, and many more. 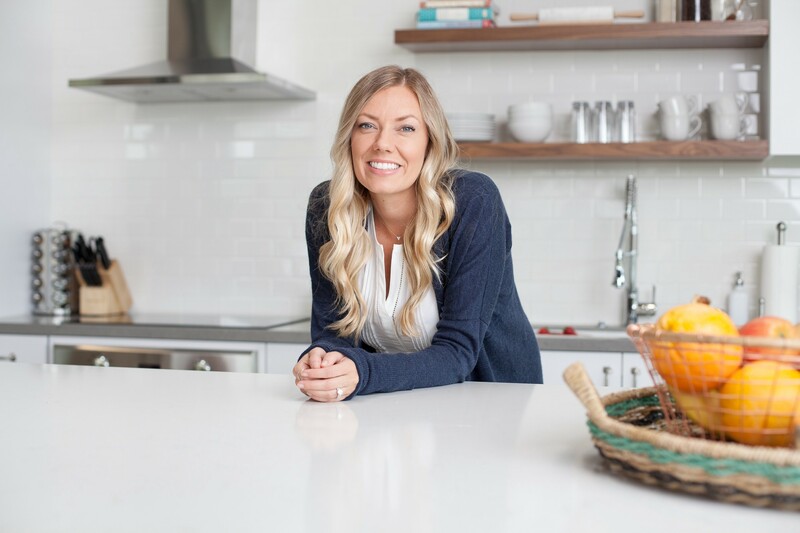 Now more than ever, Leigh is focused on spreading whole food nutrition far and wide and continuing to give back to the San Diego community as the home of her growing family and business. My siblings and I spent a good part of our childhood traveling the country, being homeschooled by our Mom, while our eccentric-nutritionist Dad gave talks about the benefits of whole-food nutrition. He created the Perfect Bar recipe as a solution for us kids to eat our whole-food supplements, in a snack that we would actually enjoy eating. In the early days, we would sell Perfect Bars like other kids sold lemonade and also help with our Dad’s supplement business, so I learned early on how to process orders and handle basic accounting needs; I had no idea how that would play into my future as a business owner. I had fully intended on taking the traditional route of going to college and having certainty for the first time in my life. At the time, I knew I wanted to make my mark on the world but wasn’t sure how that would actually play out into a career. It was then that we launched The Original Refrigerated Protein Bar recipe out of our Mom’s kitchen. We were bootstrapped for the first 10 years of our business and maintained a very “stay scrappy” mentality throughout. My siblings and I navigated the manufacturing and distribution space while managing growth through continuous trial and error, as we didn’t have the CPG experience of our industry counterparts. In 2015, we accepted minority investment from industry-leading VMG partners, with the hope that their expertise and strategic insights would elevate our small, family business into something that could reach more people, more effectively; it certainly has done just that. After 10 years of running the business with my brothers and sisters, VMG helped us to bring in an executive team made up of industry powerhouses from the nation’s top CPG brands. At this time, not only did I have to set my pride aside and realize that hard work could only go so far without strategy, but my new role in this structure forced me to focus on the high-level aspects of the business, rather than being consumed by the nitty-gritty details of the everyday. After navigating my self-doubt, I gave myself permission to have a leadership role in, what was now, a fast-growing company. I truly thrived in ways I didn’t anticipate, and it shows in what our brand has become, just over the past three years. Since we were kids, traveling the country in a motorhome, our mindset had always been to stay scrappy. And for the first 10 years of building Perfect Bar, we knew no other way to go about business. When it was time to purchase barcodes, we had two options: 1) Spend $25 for a makeshift barcode that would “work” or 2) spend $5,000 for a proper GSI barcode. We definitely took the penny-wise and pound-foolish route, and by the time we were required to upgrade to a GS1 barcode, due to expansion in new retailers, we essentially had to sell out and discontinue all of our current SKU’s, before putting the new products on shelf. This ended up costing us time, money and quite a bit of regret for that game-time decision. It was a lesson in thinking long-term, versus short-term in everything we do. Mistakes like this have helped us to be cognizant in situations we could be moving too quickly towards something that feels right at the moment, such as launching innovation based on a new trend, as opposed to doing the necessary market research and consumer testing. Our learnings from our earlier years have definitely aided in the way we do business today. After nearly 14 years since founding Perfect Bar, we can truthfully say that we anchored the fresh snacking set in the grocery store; something that didn’t exist over a decade ago. Fresh snacks were not a category that consumers knew to seek out, but today, “is fresh” is the #1 purchase driver amongst Millennials and iGen consumers. We created The Original Refrigerated Protein Bar and are now at an inflection point, in our business lifecycle, where our fans and retailers alike are coming to us and asking for more fresh-snacking variety to meet different eating occasions in their day. It is our plan and mission to keep innovating and providing fresh snacks in a convenient, portable format for today’s busy consumer. Yes, this November, we will be launching the first kids’ refrigerated snack bar: Perfect Kids. The line of two flavors, Peanut Butter Cookie and Chocolate Chip, will be available in 500 select Target fridges nationwide. Then, after more than a decade of building our Perfect Bar business, we will be transitioning to Perfect Snacks in early 2019, to provide even more fresh-snacking food formats that meet different eating occasions. Becoming Perfect Snacks creates endless opportunities for the product offerings we can bring to market; it’s an exciting time for our brand and family. Without a doubt, my siblings have been the most instrumental in getting our brand to where it is today and helping me to be the leader I am for our business. Building Perfect Bar with my brothers and sisters has pushed us far beyond the limits we thought we had, and given us the support and security we were in dire need of when we set out on this venture. My brother Bill and his tenacity to get Perfect Bar on shelf when retailers had never even toyed with the concept of a refrigerated protein bar. Sleeping in his car for a month outside of Whole Foods Berkeley and showering at the local gym, just to demo our product and eventually get it accepted into our very first account. My sister Charisse who, with Google as her only resource, led our operations and innovation efforts from day one; truly the bread and butter behind our manufacturing business. 14 years later, you wouldn’t believe the expertise and capabilities she has acquired — it’s been incredible to see how far we’ve come, from rolling pins to custom machinery needed to make our unique products, she’s managed it all. The rich history we’ve all shared together sets us up for a successful working relationship built on trust and respect; one that has fueled the success of our brand. My unconventional upbringing truly taught me lessons and values that I don’t take for granted today. Our Mom and Dad instilled in us that quality nutrition is the foundation for a quality life. 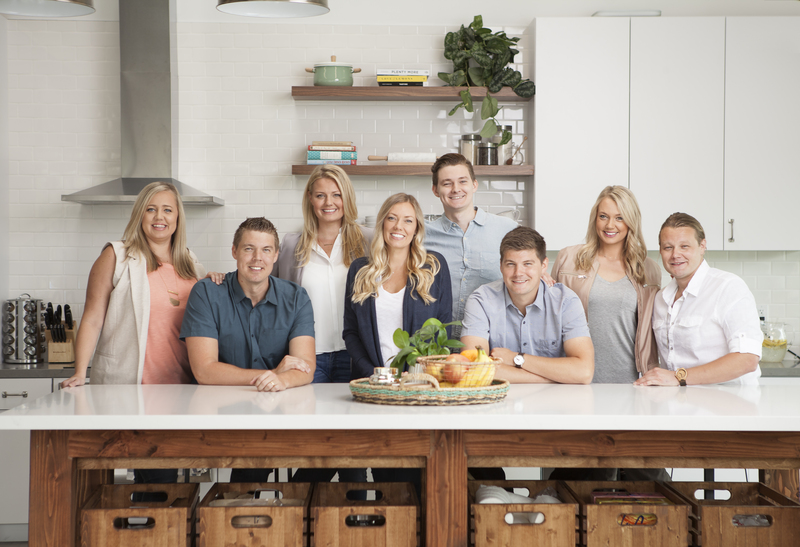 As a family, it’s our mission to nourish the world with whole food nutrition that is convenient and delicious. In addition to our products aiding in our mission to make nutrition a priority, each of our 100+ employees are allotted 20 hours of paid time to volunteer with a charitable organization, each year. We partner and volunteer with organizations like Feeding San Diego, The Monarch School and Junior Achievement to support them in their respective missions. In addition, our donations and fundraising efforts with dozens of non-profit organizations across the country aid in reinforcing our mission, within our communities, far and wide. Embody confidence: I would constantly ask myself, “At what point does that 19-year-old girl that started this company have the right to be at the board of directors table with everyone else, whose experience outweighs mine?” When I gave myself permission and knew I deserved to be there, that my passion and work ethic had gotten me to that point, my mentality changed for the better. Stay scrappy: I never forget how we got to where we are today. When we raised investment, it was an inflection point for our company. We had a budget for the first time and finally the ability to go out and market ourselves on a grander scale. However, we adopted the mindset that every dollar had to work hard for us and saw that our team was, also, spending every dollar as if it were their own. It’s that mentality in every part of the business that has allowed us to manage growth and act strategically. Be hands on, but don’t micromanage: Having an entrepreneurial spirit can help and hinder your role as a leader. I’ve learned that stepping away from the details and letting your team do their job, doesn’t mean you’re hands off. I’m still brought into the decision-making process and have a pulse on the efforts being carried out by our team, but I pick my battles on where my opinion and energy is best spent and aim to empower my teams to take ownership of their roles and responsibilities. Hire slowly, fire quickly: I received this advice early on and it has continued to ring true in our 14 years of business. As a fast-growing company, our business both outpaced some long-time people’s skill sets and also required us to hire positions in areas we didn’t have experience in. We had to do more due diligence and make uncomfortable decisions that were best for the business, which panned out in our favor, long term. Culture trumps skill — It’s really hard to turn away a stacked resume for a potential hire, if someone isn’t a cultural fit. But culture trumps skill for me, any day. Who your employees are is just as, if not more important, than what they can do. Fostering that company culture within your teams is vital to their success, as well. Knowing what they want in their personal and professional lives helps to be able to support them through all of life’s experiences. To us, the magic behind Perfect Bar is its people. My movement would be centered around supporting people to live their best lives, not only with quality, whole food nutrition, but also with other resources that empower them to feel their healthiest. With jam-packed days and busy routines, I hope that the Perfect Bar brand provides a daily dose of information and tools to aid in a healthy, more vibrant lifestyle. It’s amazing the small tweaks we can make that will have a profound effect on our well-being. “Success is often the result of taking a misstep in the right direction.” There were more than many missteps we took throughout building our brand. At the time, they each felt like major setbacks or wasted time; in hindsight, each misstep taught us what we needed to learn in that moment, to set us up for success later on. We weren’t handed anything nor guided in the right direction throughout this process — we didn’t ask for help when we probably should have. What we did do, is with every misstep, we took a step forward and continued progressing towards our goals. We didn’t have time to stop or slow down, so move forward we did, one step at a time. It was a lesson in mindset shifting that we aim to extend across our entire company today. I wholeheartedly admire the work of Michelle Obama, in her efforts to bring better nutrition to school lunches, as well as her focus on education for young girls. I would love to speak with her on her advocacy towards reforming the school systems, particularly because it’s something I advocate for in my own community with education around childhood nutrition and female mentorship. On a more realistic level, I would love nothing more than three hours to share a meal with my king-size family — my Mom, 12 siblings and all their kids, seven and counting. To me, that’d be the most meaningful company of all. What happens when a lifelong giver becomes a recipient? She gives even more.